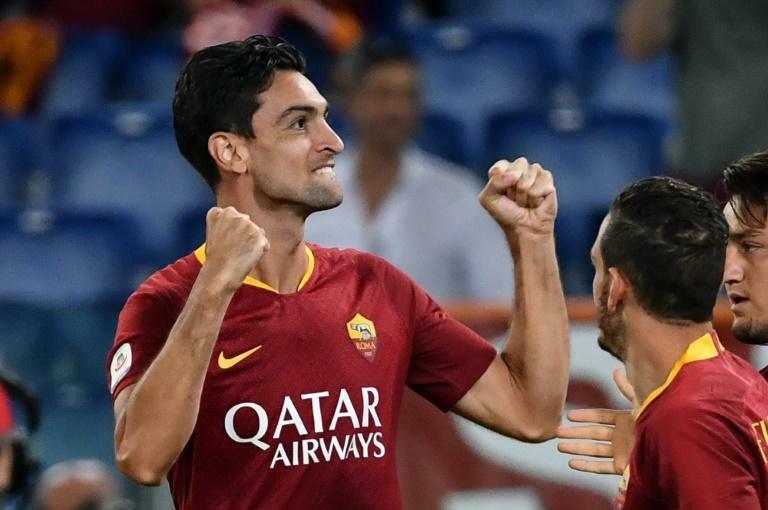 Javier Pastore scored his first AS Roma goal but still came in for criticism from furious coach Eusebio Di Francesco on Monday after an Emiliano Rigoni brace helped Atalanta leave the capital with a share of the spoils in a 3-3 draw in Serie A.
Roma got off to a blistering start with former PSG player Pastore scoring two minutes into his first match at the Stadio Olimpico with a spectacular back-heel after a pinpoint Cengiz Under cross. But Atalanta -- who made a raft of changes ahead of their crunch Europa League playoff game this week -- proved dangerous, taking advantage of sloppy Roman defending to pull ahead 3-1 at half-time. Belgian defender Timothy Castagne tapped in the equaliser after 19 minutes and within three minutes Argentine Rigoni got his first goal with the second on 38 minutes. "Javier Pastore? He scored a very nice goal but he too disappeared after the goal, he could not help out his teammates," Di Francesco said. "He did much better later on in the game. I would have changed seven or eight players after the first half if I could. "We were too bad to be real, but we got it back on track. "We did better in the second half but we didn't defend well towards the end of the game which is why I got very mad," added Di Francesco, whose wrist was bandaged after punching the wall of the coach's bench in frustration. "I wanted balance in the last 10 minutes, but we looked like amateur hour out there with 11 attacking against 11 defending. It's no way to play." Di Francesco shuffled his side at the break with World Cup winner Steven Nzonzi coming on for his debut after arriving from Sevilla, along with Justin Kluivert. Alessandro Florenzi pulled a goal back on the hour mark before limping off injured with Patrik Schick thrown into the attack in his place. But it was Greek defender Kostas Manolas who pulled the hosts level seven minutes from time, tapping in a Pastore free kick. "It's certainly harder in Serie A than Ligue 1, the first two games have been such a struggle," said Argentine Pastore. "I think after our goal, we got a bit too relaxed and allowed them to have the ball. "We came out for the second half with more intensity and managed to get it back on track. We could even have won it at the end." Roma, who finished third last season, have four points from two games and face a difficult task on Friday at AC Milan, who are reeling after throwing away a two-goal lead to fall 3-2 to Napoli. "This leaves us with a very bitter taste in the mouth, we went very close to winning," said Atalanta coach Gian Piero Gasperini, whose side are also on four points after winning their opening match. Champions Juventus' 2-0 win against Lazio and Napoli's comeback against AC Milan meant both have started their campaigns with the maximum six points.